I would like to think that LG would not have wanted it any other way – that is, to ensure that the LG TONE Active is aptly named, simply because it has been specially designed to cater to those who happen to be outgoing, and definitely do not live out a sedentary lifestyle! 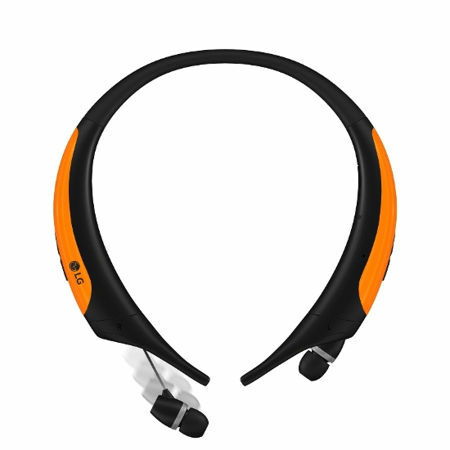 Well, in the unveiling of the new LG TONE Active Bluetooth headset, we do know several things – those who are interested in picking up this puppy will be able to do so from today onward exclusively through AT&T for a limited time only, where the South Korean conglomerate has slapped a $129 price point to it as well. Just to have a faint idea on how successful the LG TONE Series of Bluetooth headsets have been to date, it seems that LG has already sold more than 10 million units of these bad boys worldwide ever since rolling it out to the masses in October five years ago. Having arrived at this particular achievement, LG has managed to end up as the number one Bluetooth wireless headset line in the U.S. in terms of units sold. With the LG TONE Active, consumers who have embraced a high impact and rigorous workout routine would be able to appreciate this device being their rugged and more durable companion. Since it works via Bluetooth connectivity, it will play nice with just about any other Bluetooth-enabled smartphone out there in the market, and the LG TONE Active even comes with a water resistance rating of IPX32, allowing it to handle sweat without missing a beat, while there are also earbuds which will retract into the headset so that it can alleviate tangled cords. It has also been specially designed for durability in order to support even the most active lifestyles, as the LG TONE Active remains snugly around the neck in a stay-put, contoured design.